One of the stars of Russell Howard's hit BBC Three series, Russell Howard’s Good News, is on his way to Tyneside this summer. 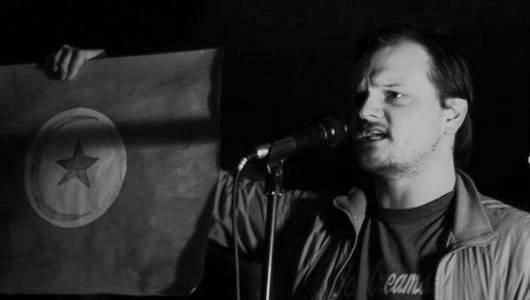 Prolific stand-up comedian Ray Peacock will headline the next Giggle Beats Comedy Quiz night at The Stand Comedy Club in Newcastle on Sunday 6 July. The show, which runs every first Sunday at the popular High Bridge venue, combines stand-up with a traditional pub quiz, as question master and comedian Lee Kyle puts your comedy knowledge to the test. And Peacock, who has made an unprecedented TWO appearances on Russell Howard’s popular TV show, will round off the night with a short preview of his latest stand-up show, Here Comes Trouble. Giggle Beats editor Andrew Dipper said: "I've been an avid follower of Ray's work for as long as I've watched live comedy, so I'm absolutely delighted that he's agreed to join us in July. "With a chance to win some incredible prizes and watch stand-up from amazing acts like Ray you'll struggle to find a better value night out in town." 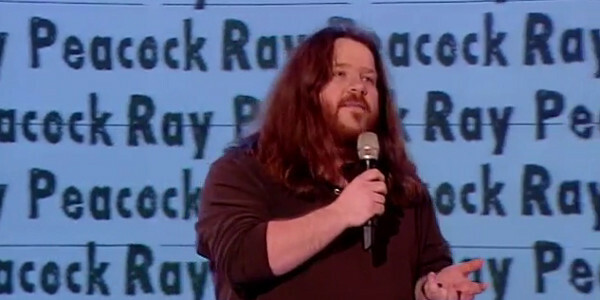 A prolific writer and comic performer, Ray came to prominence in the Big and Daftcomedy trio, which culminated in three consecutive years of sell-out Edinburgh Fringe shows and their own series for the BBC's PlayUK, Terrorville. In 2007 Ray presented The Ray Peacock Podcast on iTunes, alongside Raji James and Ed Gamble, and it was pretty brilliant. The show ran for four series and a number of live shows before he rejoined Gamble in 2009 for the critically-acclaimed Peacock & Gamble Podcast. The Guardian newspaper said the show was "35 minutes of pure gold." Ray is also an in-demand actor, with credits on hit TV shows including Doctor Who, Skins, Doctors and Harry Hill's TV Burp amongst others, and a popular warm-up act on the likes of Miranda, The Graham Norton Show and Not Going Out. Tickets for the show, priced £3, can be reserved by calling The Stand Comedy Club box office on 0844 693 3336. Doors open at 6.30pm and the quiz starts at 7pm. Prizes for July include a three-course meal for two at The Stand's delicious bistro, tickets to some of the best comedy shows in Newcastle, top comedy merchandise courtesy of Ideal makers Baby Cow Productions and more.